Link building is the practice of acquiring hyperlinks from other websites to your own. Since search engines use links to crawl the web, link building has always been a fundamental part of SEO. Links help search engines discover new content on the web, but also to determine how well a page should rank. Over time, the backlinks pass significant link juice to your site, which in turn lifts your domain authority. Therefore, your pages rank higher. By reaching the audience of the host site you gain access to a new community of prospective customers. It is not just about the links, quality content can bring in a big crowd. Ultimately, links are there for people to click on, which means, they can bring significant referral traffic to your site. The links to your site can either be a significant advantage for SEO or a penalty danger, if they are spam or of low quality. The Link Audit service is designed to detect any potential problems an/or opportunities in your current backlink profile. During the analysis we manually check all your links, their anchor text distribution, and type. We can learn a ton by analyzing the past link building activities of your main competitors. By checking their link profiles we learn about their strategies, resources, industry partners, SEO campaigns, top pages/products, and more. 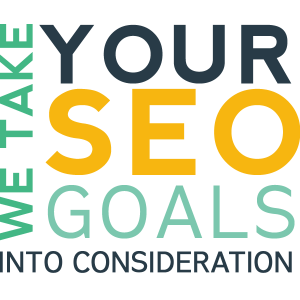 This service is essential for anyone who is serious about SEO. No two sites are alike. That is why we take the time to learn about your industry, your past SEO activities and your competitors. This allows us to create link building strategies which are custom and have the potential to attract quality backlinks to your site. The mix of proposed activities may include Guest Blogging, employing the SkyScraper Method, doing Broken Link Building, Link Reclamation and more. If the analysis of your backlinks reveals lots of low quality backlinks, link schemes, link networks, and/or spam links, you will have to have them removed. Otherwise you risk being hit by Google Penalty. Once we create a list of all the toxic links, we will run repetitive link removal email requests to the webmasters in question, and will submit a Disavow.txt file to Google Search Console. If you have followed a major online blog through RSS feeds or social media, you have probably noticed the frequency and scale at which they publish new content. Successful blog owners need a constant stream of fresh and quality content. A decent size blog needs to publish 3 to 5 articles per day. To keep up with the scale many blogs accept articles from guest authors. Guest Blogging is the practice of publishing articles with unique content on blogs relevant to your industry. In the past, the gain was simply PR and building brand awareness. However, in the SEO universe we live in today, most often guest blogging is used as a link building method. Rise to the top of the SERPs by gaining more traffic, links, and popularity. Quality articles are the most effective way to build permanent links to your site. Once published on a blog, an article and all its links will remain there for years. Guest Blogging lets you gain quality links, and reach people you couldn’t have otherwise reached, exposing them to your unique perspective and brand. Unfortunately, similar to many SEO practices, Guest Blogging has been widely abused. Since links are a dominant ranking factor for search engines, many SEOs use Guest Blogging in a spammy and abusive way to build links for their clients. This escalated to the point where Matt Cutts, the head of the Google’s Webspam team, stepped up and warned webmasters. All this created a degree of confusion, many believing that Google is about to kill Guest Blogging. You are blogging in an effort to bring insights, knowledge, and a unique perspective to the audience. You do not use abusive spam tactics, automation, and publish on low quality sites. You only publish unique content and do not do any article spinning. Put simply, Google has nothing against Guest Blogging as long as the articles are of high quality, where somebody really put in the work and has something unique and interesting to say. Makes sense, doesn’t it? Thankfully, our Guest Blogging service takes all this into account. We look at what you and your competitors are doing. We evaluate your unique selling points, your strengths and weaknesses. To bring the Guest Blogging activity in line with your SEO goals, we look at which pages on your site need to be strengthened with backlinks. Once we understand your business and your customers, we scour the web for prospective blogs. We look for the online places where your target audience likes to hang out. We also analyze what the audience likes to read, and what each target blog has already published. By a careful analysis of the trending topics, and past performance, we brainstorm topics which get noticed by blog editors and their site readers. To deliver top quality content. We only work with native English speakers who blog professionally. From draft topics to ready articles, you will be asked for feedback before we publish anything on your behalf. We pitch the topics to the target blogs. The articles we offer always add value to the target blog readers, which the editors repay to us in a relationship. Overtime, we develop long term relationships with many of your industry leading blogs, which also allows us to contribute regularly on high domain authority sites. You receive a monthly report with links to the locations of all published articles. This service is designed for companies that understand the long-term value of consistent link building activities. We aim for at least 2 links in each article, one in the author bio, and one on a prominent position in the copy.